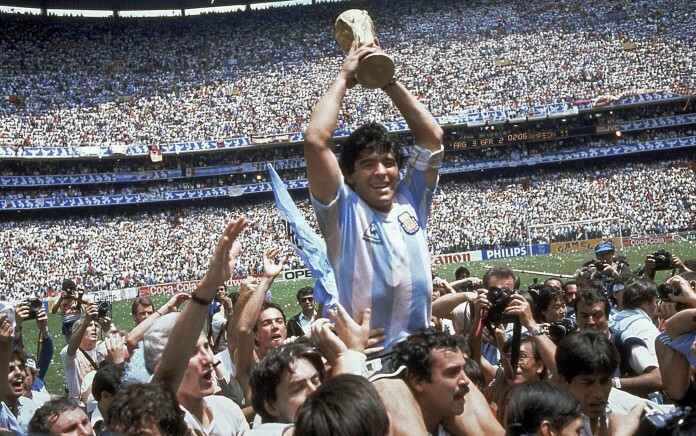 How to Get MORE Goals & Beat ANY Team at Scoring in Just 30 Minutes a Day, Without Having “Talent”, or Wasting Years on “Old School” Training Methods. Want to become a TOP-RANKED soccer player and launch your career into the stratosphere? Which means, if you want to reach the heights of Fútbol stardom, you’ve got to want it... and be willing train your body like nothing else matters! ...But not just any tool or training program will get the job done. The truth is, most of what’s taught to upcoming players today will actually hurt your chances of success. In fact, if you train improperly for too long, not only does the risk of injury INCREASE dramatically, but you could actually sabotage your career by wasting time and energy on techniques that bring little to no progress on the field! But what if there was a way to avoid the pitfalls of outdated ideas & exercise routines that do more harm than good? 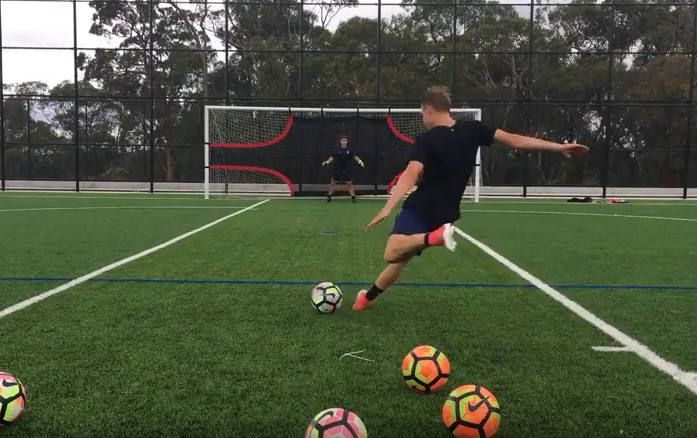 ARE YOU READY TO LEARN THE CLOSELY GUARDED SECRET OF A-LIST SOCCER PROS FOR BOOSTING CONFIDENCE, BUILDING MUSCLE MEMORY, QUADRUPLING YOUR SCORE RATES, AND BECOMING AN ELITE STRIKER?! > Become the most DOMINANT player on the field with PRECISE STRIKING! > Develop DANGEROUSLY-HIGH scoring rates with with pin-point accuracy! > Score goals from ANY ANGLE with IMPROVED VISUALISATION & muscle memory! 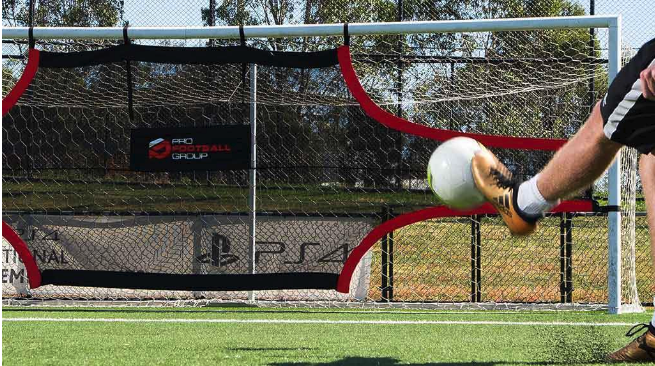 > Defeat the most-feared Goalies with INSTANT FEEDBACK during practice! 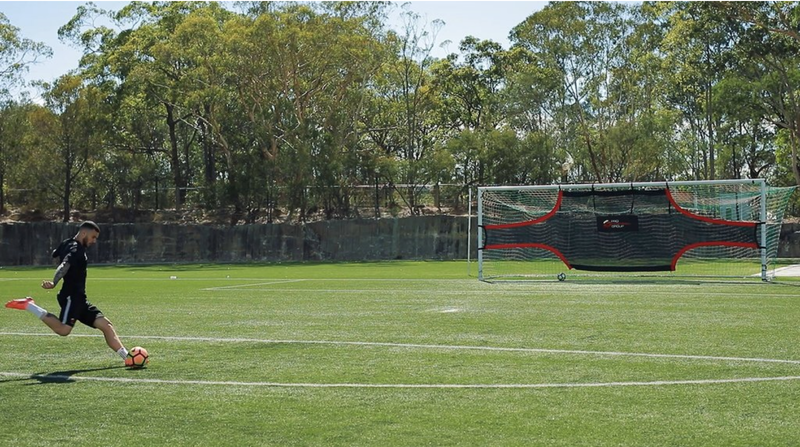 > Eliminate “Goal Drought” and boost performance with fun & consistent shoot-out sessions! > Quick & easy installation that fits any FULL-SIZE regulation goal! 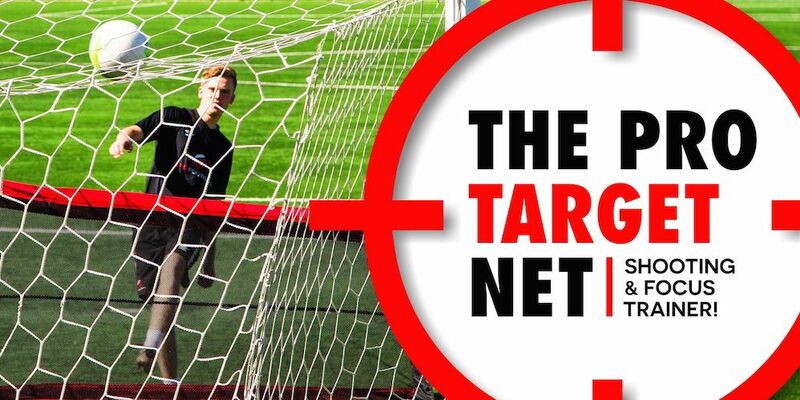 >> CLICK HERE TO GET YOUR PRO TARGET NET NOW!! WIN MORE GAMES & LIVE YOUR DREAMS WITH HIGHER GOAL PERCENTAGES! You’ve got to develop the proper skills & master the fundamentals as early as possible on your journey. Because when you get “laser-focused” on what works, the more positive results you’ll produce, and the more PROGRESS you’ll make… all while doing the least amount of work possible! ENHANCE PERFORMANCE & TRANSFORM YOUR BODY WITH IMPROVED MUSCLE MEMORY. Want to improve your overall skills and advance quicker than 80% of your peers? This is called the 80/20 rule, aka Pareto Principle. But what is “muscle memory” anyway? And what does it have to do with these numbers? When you practice something for a period of time, you’ll naturally get better. Which is where the phrase, “practice makes perfect” comes to mind. As a result, your brain, automatically stores “procedural” memory, allowing you to quickly complete tasks by instructing your muscles to carry them out. But there’s a catch. The brain doesn’t know the difference between correct & incorrect moves. So the only way to counter that, is to focus your efforts on the four zones that have been SCIENTIFICALLY PROVEN to increase your chances of hitting the goal! DEFEAT ANY OPPONENT & FAST TRACK YOUR SUCCESS IN RECORD-BREAKING TIME! So let’s be real for a moment… You can’t afford to sidetrack your progress with “Pee-Wee” style maneuvers, and low-level coaches who have no clue how to groom a player for STARDOM… Let alone how to build a winning team! 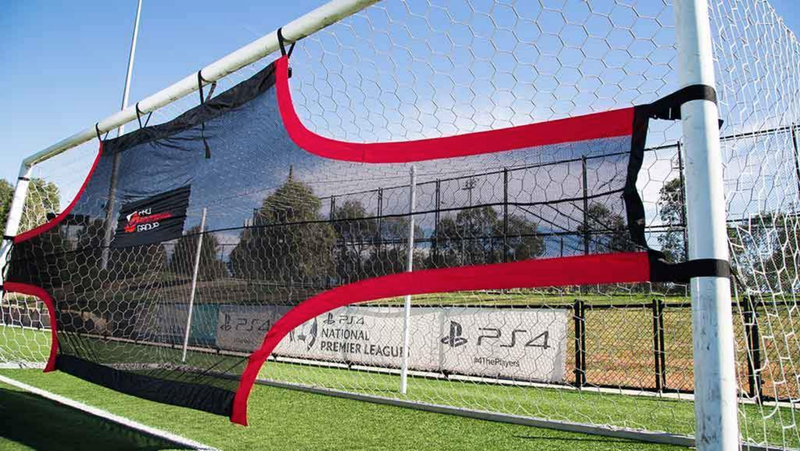 The PRO Target Net forces you to get better at shooting by immediately blocking any shot that doesn’t make it through one of the four zones where you’re most likely to score. Once you zero-in on these specific targets, you’ll be able to hit them through a crowd, under pressure, with one or MULTIPLE defenders, and finally be respected as one of the premier players on your squad! Every day, your rivals are getting faster, stronger, and more precise with their skills. Which is why you have to beat them at their own game. But the only way that can be done, is by developing that “killer instinct” in front of a goal. ARE YOU READY TO RAISE YOUR SCORES AS HIGH AS 70%... WHILE DOING LESS WORK THAN YOUR TEAMMATES? Click the button below to place your order now! Focus on the 4 main areas where your most likely to score! 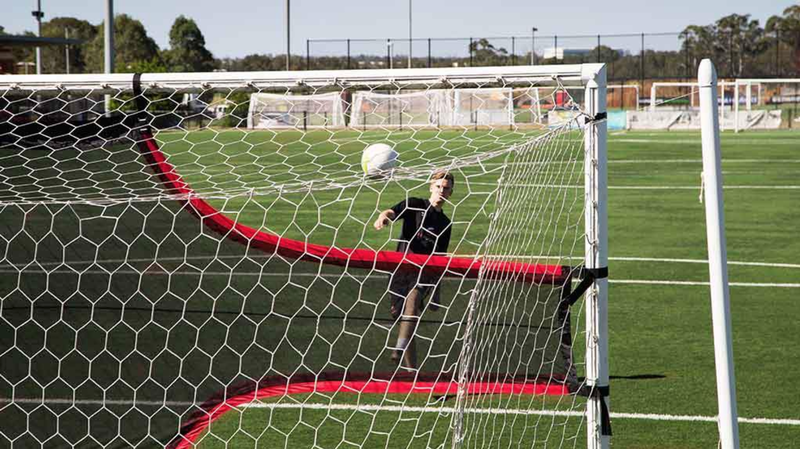 Ideal for practice, training or recreation. Come with 4 grass spikes. Copyright © Pro Football Group. All rights reserved.